Monday is one of those days many people either fear or loath, depending on their outlook on life or, more especially, what they’ve done over the weekend, what they can expect to be doing for the coming week. For me it is one of the best days of the week: the weekend is over – not that this makes a great deal of difference, since my days all roll seamlessly into one – and it is time to settle down with one of my favourite occupations once more. To be honest, every day is pretty much the same, something I’m sure you can empathise with, whether it is the weekend or not. The only difference is that the shops are closed Sundays, and the streets even more deserted than usual. I live in a very small town – about four thousand five hundred inhabitants – and the general opinion is that someone comes out each evening and packs the sidewalk away, since no one is going to be using it anyway. That’s the impression we have: the town closes at night. There are only three or four restaurants, a couple of bars, the cinema, and a river running through the centre of town. In fact, that is one of the things that I like about living in a small town; I was born in London and lived for much of my early life there – with a brief six year sojourn to North Yorkshire for school – and the lights never seem to go off there at all. Even living on the outskirts of town, which is difficult in a city like London, there was always activity until the small hours of the morning. Eventually you get used to it, much the same as I have become used to the silence surrounding me here. I can work in peace, knowing that the only thing likely to disturb me is the postman ringing the door bell when he has a parcel for me. The Big City Lights are easy enough to reach, if that is where interest lies, but the rest of the time: peace and quiet, there’s nothing can beat it. I’ve been reading the letters of Emily Dickinson recently, a small tome of infinite beauty, and so her words pop into my mind now and then when I am writing, when I am collecting my post, when I am simply walking through the town or shopping for groceries. One of the pleasures of reading, and I read a great deal, is to go through the letters of other people from history; to see what interested them back in the day; to learn how the experts wrote. Although, admittedly, few would count themselves as being experts, and even fewer ever considered having their private mail published for all and sundry to read. Even so, reading those subjects which interested people two thousand years ago – unbelievable that the letters have been preserved in one form or another for so long – is a revelation at times. A small aside, such as that from Dickinson, can open up whole new vistas of thought, especially when you get to be my age. He is, however, best read in small doses; her letters tend to be very short by our standards, often one or two lines and they are finished, but so full of vision and feeling that more would kill the mind, explode the senses. I wish I were capable of writing such a sentence, but fear my mind is no longer up to it and, of course, the times have changed from then – 1871 – to now. Letter writing has become a task best carried out quickly and with as little feeling as possible; a necessity after birthdays and Christmas when Aunts and Grandparents must be thanked for their gifts. It has lost its allure, for some. We are caught in a world where time is of the essence, where we must hurry from one appointment to the other, heads down and checking our status against that of all our friends – known and unknown – and never seeing what is happening around us. Putting words on paper takes time, and what would we write about? In our hurry we have seen nothing, experienced nothing, lost the irreplaceable time we could have used to live our lives to the fullest extent. And for what? No one, I am told, writes personal letters any more, and this was brought home to me as I tried to buy new envelopes, and found that only expensive, useless heavy-duty paper creations are available in most shops now; the types suitable for invitations, or those compulsory letters to Aunts and Uncles, Grandparents you get to see once a year, if at all. We all use the far more modern social media web sites to stay in touch with one another: instant photographs of ourselves doing something interesting; pictures mostly of our faces and not of what we are doing. A location indicator on Facebook: we were there, and then we moved on to somewhere else, but forgot to mark it down. A life without depth. We have forgotten how to live, how to communicate. I tried to order my envelopes through the local shop, to no avail, and the shop assistant was not in the least surprised: no one writes letters overseas any more, not when we have the instant gratification of electronic mail at our fingertips twenty-four hours a day, seven days a week. I bought my envelopes over the Internet, delivered two days later. My gratification. And then something happens and we discover that the old ways, the ways we have discarded and ridiculed, are back in demand. I hardly need go into any details; we both appreciate what can, and does, happen. Life comes along and slaps us across the back of the head with a jovial laugh, back again, just as strong as before: now take note of me, now pay attention. 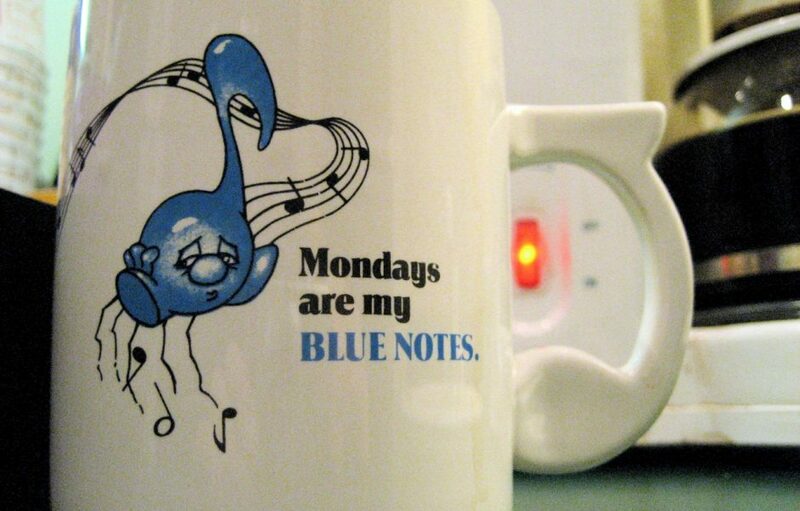 Monday is my favourite day of the week because no one else is in a good mood. I can go collect my post, buy my groceries, wander around town looking in shop windows, and guarantee that no one will disrupt my train of thought. They are all lost in their own thoughts, when there are any there, or in the status updates on their smart phones, and the dissatisfaction at having to return to work once more, leaving their weekend memories – or black-outs – behind them. It must have been a good weekend because no one can remember what happened: good thing all the selfies are there, on the social media web sites. Just hope that no one at work gets to see them. I have become cynical in my old age; it is not a good trait. What others in the world have told me about the world is a very small and incidental part of my experience of the world. Not that I would necessarily recommend reading Ludwig Wittgenstein for inspiration on getting out to see the world, or learning more about it by doing. His thoughts are far more practical, intense in a different way. I can understand why people prefer the poetical intensity of Emily Dickinson. Since the sidewalk is packed away each evening, and the cinema is too small to allow for a new film every night of the week, and I have managed to maintain a certain distance from television all of my life, there must be something else in life, whether it is a Monday or any other day of the week. Perhaps you have caught the few clues I have hidden in this letter so far; I fully expect so. The first is clearly the letter itself which, I should imagine, shows my interest in communicating through the written word – on paper, by the slowest means available. There was a time when everything was hand written, and I miss those times greatly, wish that they would come back again; I hope the fact that this is not hand written does not remove any of the personal nature of what I write. The second is also very clear to anyone with eyes and a will to read intelligently, and that is an overwhelming interest in literature; better in books, since there are so many titles available which do not fall within the category of literature, but make reading worthwhile, if not inspiring. Then, hardly mentioned at all but bound to come out when this correspondence proceeds further, a wealth of memories gathered over many decades of travelling the world which, I might add, are not at an end just yet. It is hard to deny oneself life when one finally comes to value it. Over one hundred years since Wittgenstein wrote these words: he was shot at in 1916; something which I also have behind me and which I have no desire to relive. True today, though, as I look back and recollect, as I look forward and not only desire, but plan. Which is another thing that Monday is good for: planning the rest of the week; looking through the listings to see what’s going on in the world and then getting out there and living. More important still, finding those events which not only interest me – I am, after all the person who will be there – but also other people, such as yourself, who can’t get out to see, to experience just yet. Mondays have to be planning day because German museums are closed today, many of the major art galleries too, and Monday is a perfect day to recount all that has happened, put it into words, and share it through the old, solid and reliable means we have come to love and appreciate. My letters ramble. I usually pick myself a theme out and then begin writing, and allow my thoughts to go wherever they wish which can, sometimes, be disconcerting. I’m not sure I would want to rein myself in and stick strictly to the chosen theme, since there are so many interesting thought patterns which go off to left and right and, well, who knows where they will lead? It’s like going on a holiday: the normal, everyday, ten-cities-in-seven-days people stick to the route and get to see what they expected to see, what they paid to see. No more and often considerably less. The backpacking holidaymakers – and I count myself definitively amongst their number, even if I am now more of a comfortable-hotel-for-the-night backpacker – decide which way to turn when they get to a crossroads. But there is method in my rambling madness, I am told, and I am sometimes surprised myself when, reading back over what I have written, I come across something I’d forgotten or mentioned just in passing. Sometimes rereading my letters brings a desire to carry on writing with it, to pick upon a discarded thread and follow it wherever it may lead, but then I always have something for a future letter. Can you imagine seeing a beautiful, romantic city such as Paris on a package tour with nine other cities needing to be covered too? As a young teenager I spent two weeks there, on my own, no agenda, no fixed plans, and certainly didn’t get to see everything I wished to. Even now, knowing what is there and what I could see, two weeks wouldn’t be nearly enough. Just walking along the banks of the river Seine, poking through the books on offer from the Bouquinistes would take up at least one day, and that is assuming all of their books are in French. Other languages, and I would definitely not only be there longer, but also be out of cash within a short period of time. During the summer months, when I am here in Germany, I travel in to Bremen and visit the flea market along the banks of the river Weser, so I know how easy it is to spend money and come away with a wealth of treasures. Not all of the best quotes are ancient history. Most of the best companions are cats. Unless you’re travelling: cats and travelling do not go together.